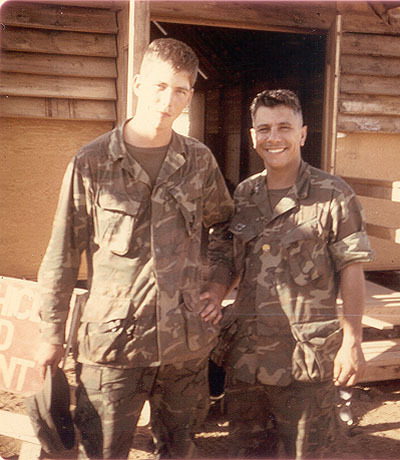 This is a photo of 2nd CAG Chaplain, Father Frank S. Bianchino (right), and CAP 2-7-2 member Roch Thornton in the latter part of 1970. The photo was taken at 2nd CAG Headquarters near Hoi An. Click here for a story about Father Bianchino.